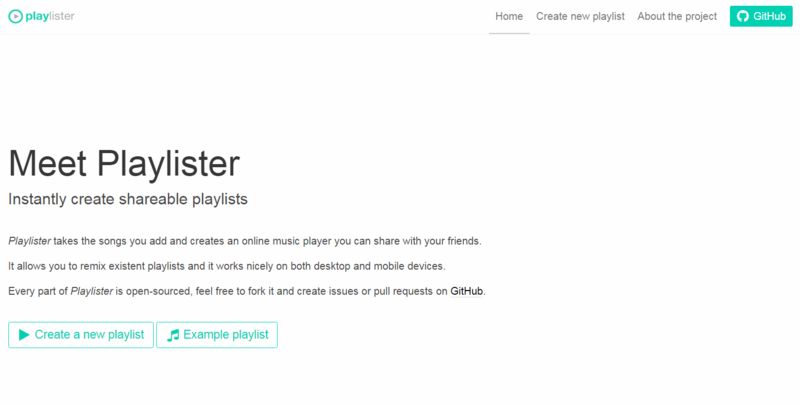 Playlister: Vue.js web app for creating and sharing playlists. - Vue.js Feed Playlister: Vue.js web app for creating and sharing playlists. Playlister: Vue.js web app for creating and sharing playlists. This project powered by Vue and Bulma, allows the user to create new playlists using YouTube URLs and save them for later use and share it. Doesn't YouTube already have playlists? I really don't enjoy the user experience YouTube provides. I wanted a simple way of creating a shareable mix that can just be sent to someone and they can enjoy it without any UI noise. Is it overkill? Probably.